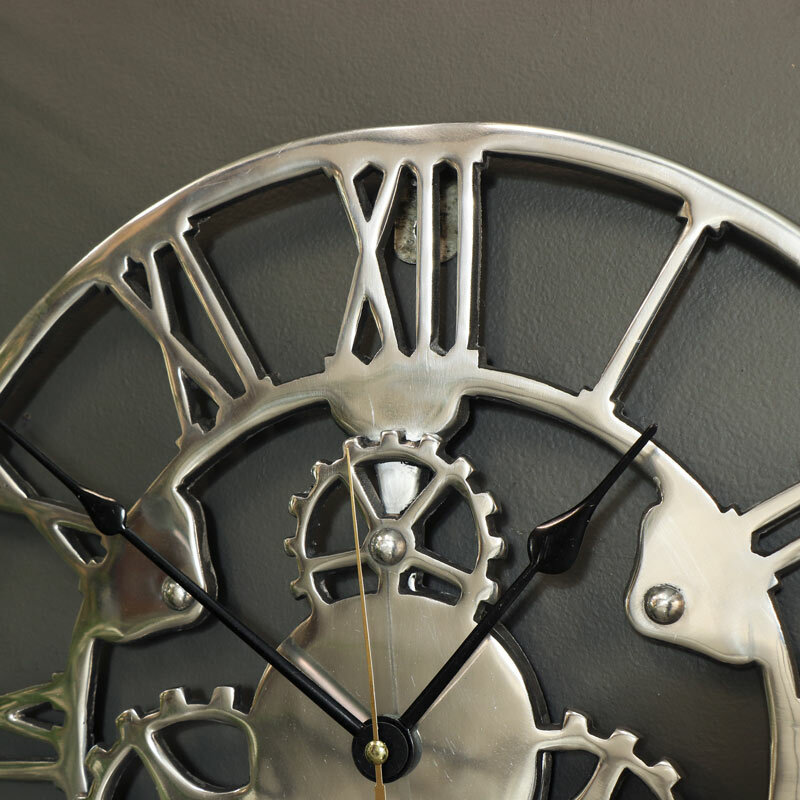 Silver wall clock with cog detail in classic skeleton style. Adds a retro, industrial feel to your home decor. Perfect for hanging in the living room or hallway. Bold design that will stand out and make a statement. Also available in a larger size & with many more skeleton style wall clocks available. Make someone happy with the perfect gift, this clock is stylish and practical. 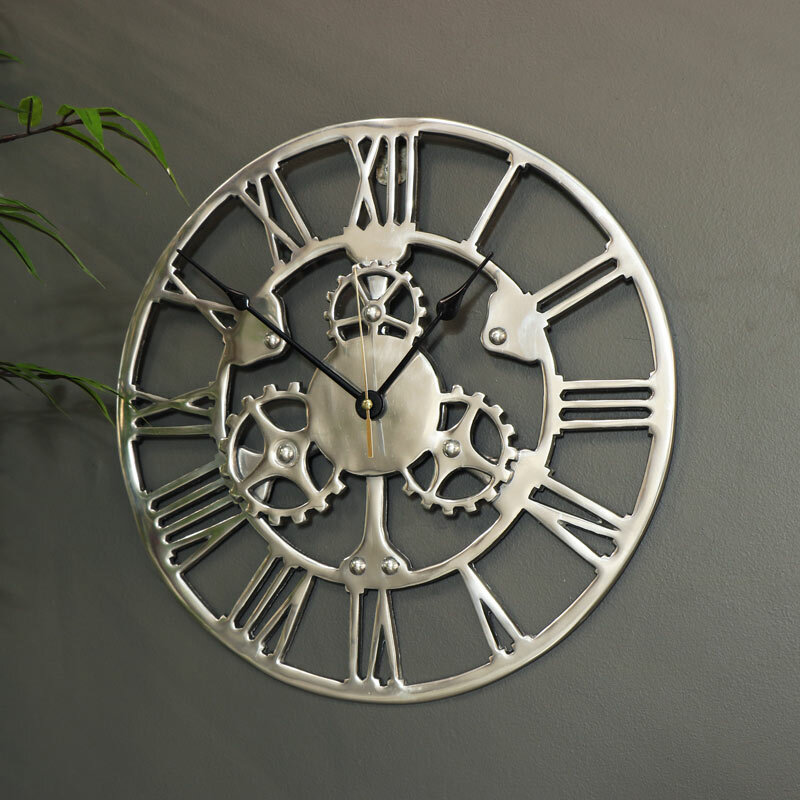 Silver wall clock with cog detail in classic skeleton style. Adds a retro, industrial feel to your home decor. Perfect for hanging in the living room or hallway. Bold design that will stand out and make a statement. Also available in a larger size & with many more skeleton style wall clocks available. Make someone happy with the perfect gift, this clock is stylish and practical.